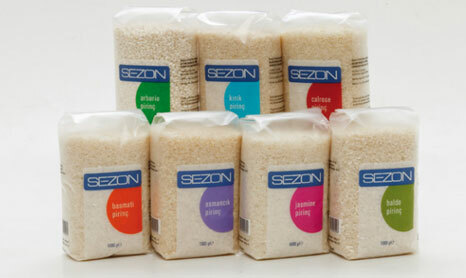 Owning the fame of having the first integrated rise processing plant in Turkey, Sezon Pirinç offers 22 different agricultural products to domestic and international markets. Can you tell us about the activities since your foundation as Sezon Pirinç? We operate in agriculture since 1950; however, we are on market as Sezon brand since 1993. Our facilities are located in İpsala, Edirne where the 25 percent of Turkey’s paddy production takes place. Our factory is titled as Turkey’s first integrated rice processing facility besides it is the biggest factory in the region. We process 15 tons of paddies and acquire 10 tons of rice per hour. Our product range consists mainly of rice varieties. 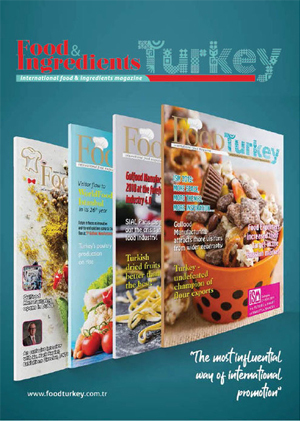 We offer 10 different rice types as calrose, baldo, basmati, jasmine, osmancık, broken rice, bran rice, Arborio, black rice, red rice and other 22 different agriculture products to domestic and foreign consumers. Our niche product group, comprised of black rice, red rice, black bean and beluga lentil, is offered in 0.5kg packages. Can you inform us about your production facilities and production capacity? Our paddy factory located in İpsala, Edirne is titled as Turkey’s first integrated rice processing facility. We are able to process 15 tons of paddies and produce 10 tons of rice in our factory which is the biggest and the most comprehensive one in the region. The rice produced in our paddy factory and imported from USA, Italy, India, Thailand reaches consumers hygienically wrapped and packaged in our packaging facility. We offer 1kg, 2.5kg, 5kg, 10kg and 25kg packages. What are the advantages and disadvantages of rice and pulses production in Turkey compared to rest of the world? Turkey is one of the most influenced countries by global warming and is the third most influenced one in Europe and Asia. Last year, after a long winter period without rain, we experienced rough, out of balance rains and freezing cold weather with hailing in summer months. That is why agricultural production was interrupted. For example, last year, wheat production decreased by approximately 20 percent. The production of corn, barley and rice is also expected to decrease. All projections show that, in 20 to 30 years period, countries which are exposed to global warming will suffer from yield loss. In case of not being able to prevent global warming for next 100 years, severe efficiency loss and production problems related to efficiency loss, in all over the world, is expected. As a result, increase in agricultural commodity prices in long term is inevitable and this will cause important social problems and famine in some parts of the world. Cultivation areas of pulses degrade in Turkey and recession in production is in question. We need to do well judged plans in macro level and project next 15 to 20 years. While planning the stimulus, we need to think in long run. Ministry has to determine which products will be grown in which basins and if necessary It has to encourage not to plant certain products in certain periods. What are your plans and goals for this year? Do you have any prudential investment plans for this year? We work constantly on new products. Pre cooked, easy to cook, mixed products is in our agenda. We want to be first in Turkey. For example, you will be able to cook pilav with tomato in oven, in less than 3 minutes. It is a very practical product for those who work or who has limited time to cook. How is your company’s domestic and foreign settlement? This year, we established dealership system in İstanbul, Trakya, Eastern, Southeastern and Inner Anatolia, Aegean and Mediterranean regions in order to reach Turkey’s all 81 provinces while doing most of our sales to national and international organized retailers and export market. 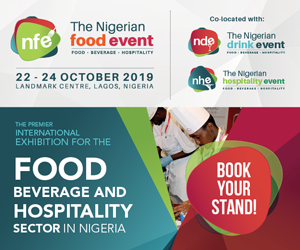 Additionally, with our dealers, we aim to offer catering services and offer our products to hotels, restaurants, universities and public agencies. In which countries do you export your products? Do you plan to enter in any new markets? We sell our products to Europe (Mainly Germany and Belgium), Middle East, Balkan States, Turkic Republics and USA. Our export volume is decreased in late years due to difficulties in Middle East but our goal is to reach 10 million dollars in export.